This isn’t your typical housing for seniors who live on a fixed income. It’s not just an apartment building. It’s a community that offers amenities and enriched living options to help older adults Live Well Into The Future. Shawnee Place in the heart of downtown Springfield, Ohio, offers affordable living apartments for seniors 55 years old and older that qualify and who meet income requirements. 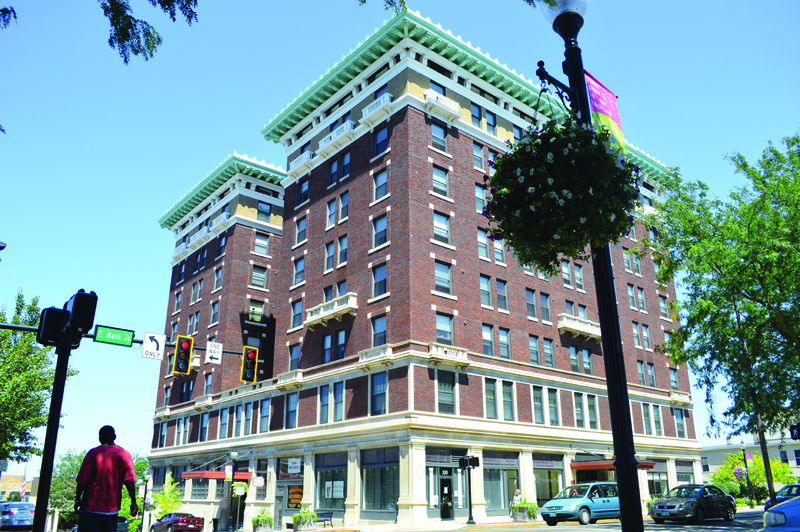 Originally constructed as a hotel, the building is faced with limestone on the retail lower level and red brick above for the residential floors. The building exterior is beautifully ornamented in the Neo-Classical style and presents a refined and elegant appearance. Exterior renovation included delicate cleaning, new windows and new lighting. The historic first floor lobby areas were refurbished to resemble their original state. This historic building has been completely renovated and now has 80 one-bedroom apartments and 5 two-bedroom apartments and there are three elevators in the building. Monthly rents range from $423 to $585 and Section 8 vouchers are accepted. Commercial space is also available for rent with easy access from the spacious lobby on the ground floor. Like all the affordable living communities operated by Episcopal Retirement Services, Shawnee Place provides a clean, vibrant, secure, and welcoming environment for older adults with limited incomes. See for yourself below why Shawnee Place and our other affordable living communities are a wonderful place for older adults to live and flourish in a safe, friendly neighborhood community. For more information about qualifying to rent our apartments and to receive a rental application, call Community Manager Joanna Baugh at 937-322-0336 or submit your request on our contact page.